Frying a turkey isn’t really the traditional method of cooking a Thanksgiving bird, but it does give it an awesome crispy skin and juiciness through the roof. Still, a lot of us seem to avoid the whole deep-frying situation because of the terrifying tales of Thanksgiving Day explosions — and the fact that the process requires a whole lot of oil. We’re talking 3 to 5 gallons. And oil doesn’t grow on trees. That ish is expensive. The good news is you can recycle the oil you use to fry your turkey, so you can get at least a little something back on your oil investment — there are just a couple of simple rules of thumb to follow so it’s safe to use. First of all, it’s important to buy your oil with reuse in mind. According to The National Turkey Federation, only oils that have high smoke points should be used — they suggest peanut, refined canola, corn oil, rice oil and sunflower oil. An oil’s smoke point is the temperature at which it begins to break down and create irritating smoke, according to Livestrong.com. Exceeding an oil’s smoke point can cause the oil to be harmful if consumed. Here’s a tip to make sure you haven’t passed the smoke point threshold: When you’re heating your oil to fry your turkey, monitor the temperature regularly to ensure it doesn’t exceed its smoke point. Safflower and cottonseed oil smoke at 450 degrees F. Canola oil smokes at 437 degrees F. Soybean, peanut and corn oil smoke at 410 degrees F.
Most recipes call for peanut oil because of the flavor it imparts, but you’ll have to make sure none of your guests have a peanut allergy if that’s the route you choose. After the oil cools overnight in a covered pot, strain the cooled oil through a fine strainer, then filter the oil through a fine cheesecloth or coffee filter. 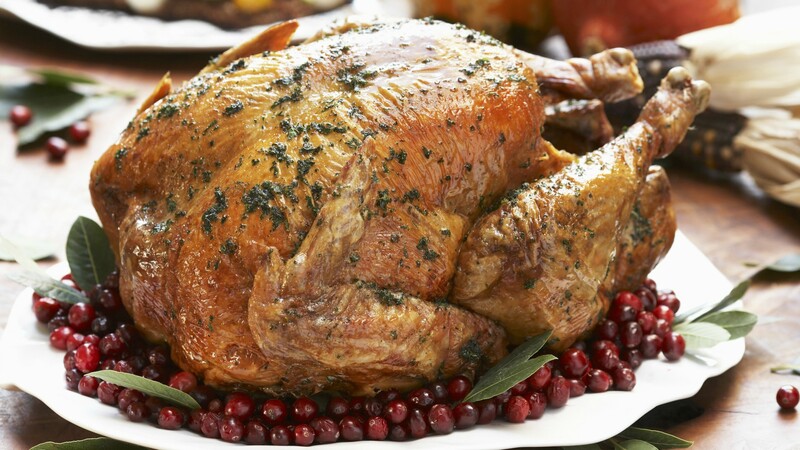 Filtration is especially important if you have used seasonings or breading on the turkey you fried. Used oil should always be covered and refrigerated to prevent it from going rancid. Though peanut oil is the one most commonly used for frying up a turkey, it’s also the most perishable of the oils and must be kept cold if you plan to keep it longer than a month. You can also freeze it to extend the shelf life even longer. Used oil will thicken and become cloudy when chilled but return to its original consistency when reheated. The oil will also develop a cloudy appearance that could remain when brought back to room temperature and will only clear up temporarily while heated. Proceed with caution when using refrigerated oil. One ChowHound user reported a scary situation while reheating cold oil. Most oils may remain in the refrigerator for several months or until signs of deterioration begin. Peanut oil can usually be used three or four times to fry turkeys before it shows signs of going bad, according to the Texas Peanut Producers Board via The National Turkey Federation. Watch for foaming, darkening or smoking excessively — these are all signs that your oil has gone rancid and needs to be discarded. Other signs of bad oil include a rancid smell and/or failure to bubble when food is added.